On April 16th our Meetup.com activities group explored a trail we had not been on before. We went up Blueberry Mt. in Benton, NH. We had been to nearby Black Mt. many times. 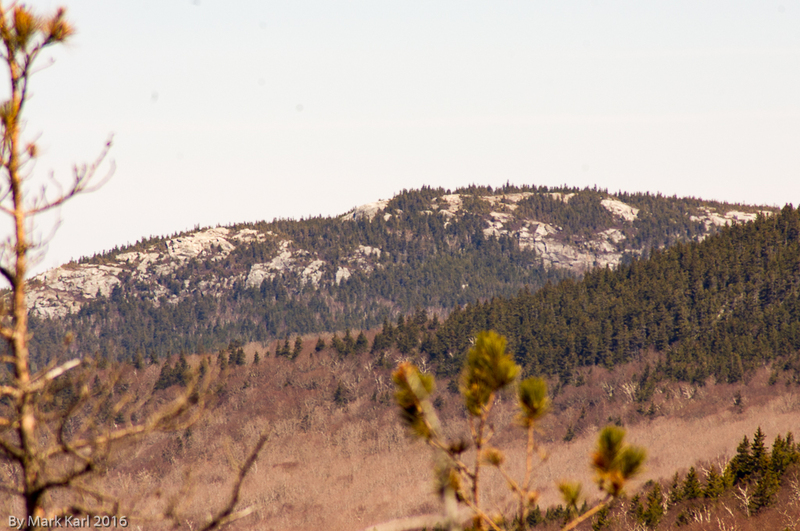 We heard from another hiker in our group that Blueberry Mt. was a little bit easier and had slightly different views than Black Mt. It was about 2.5 miles to the summit but the elevation gain was a lot less than Black. Mt. View of Black Mt. 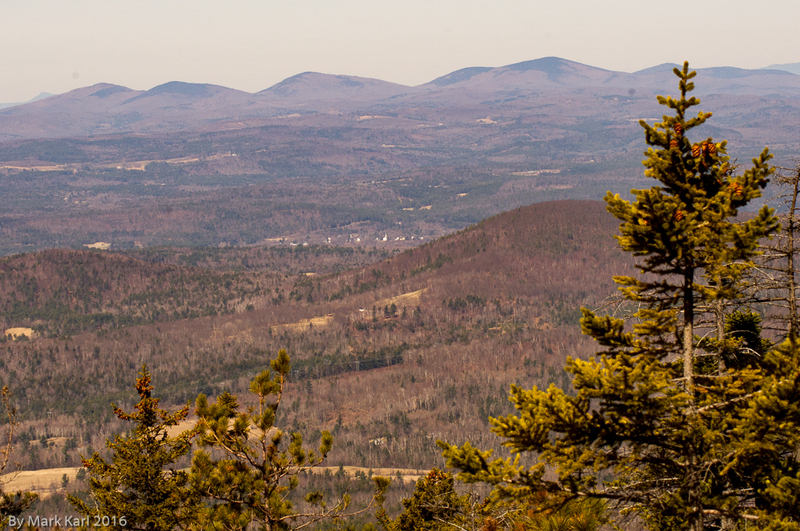 from the summit of Blueberry Mt. 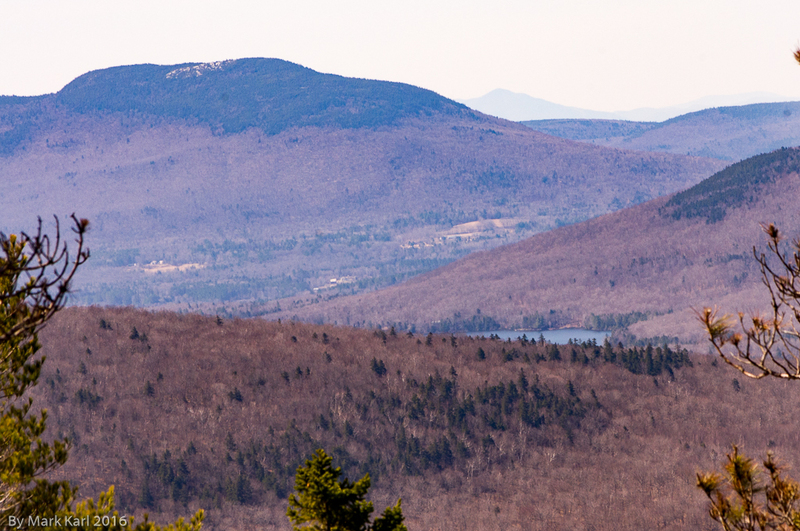 View west towards Vermont. 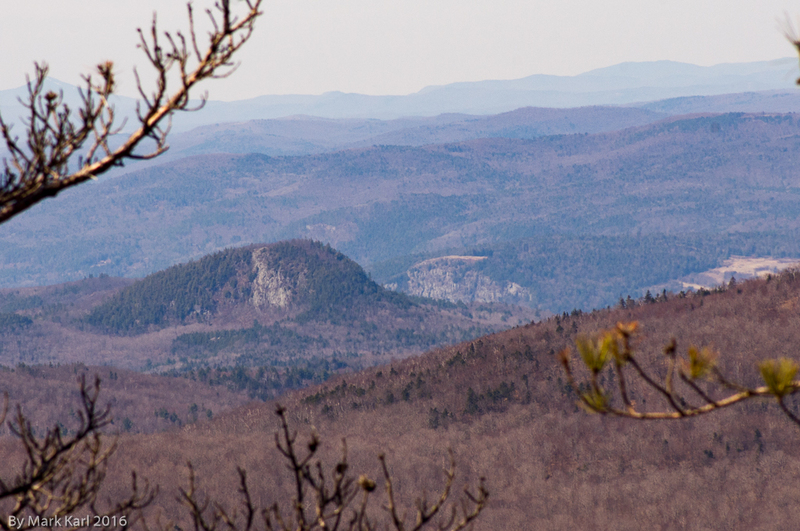 I think those are the mountains of Groton State Forest. View towards Mt. Cube in Orford, NH. You can just catch a gimps of Lake Katherine. View towards Peaked Mt. in Piermont, NH and the cliff on Rt. 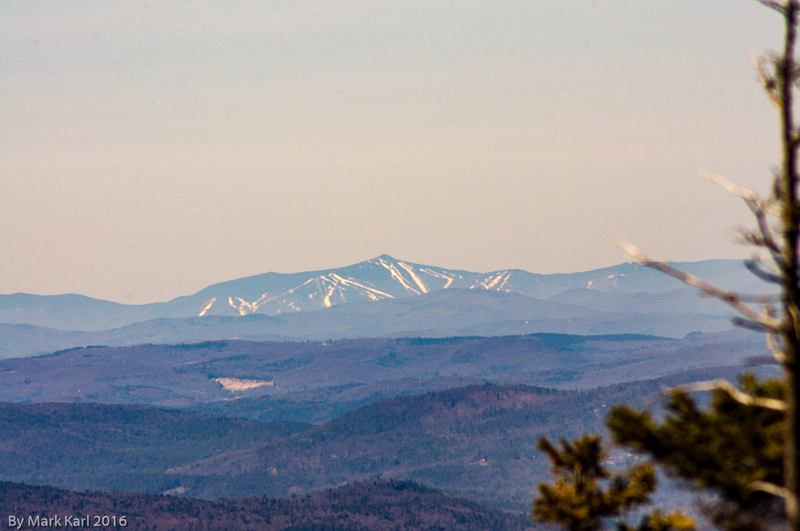 5 in Fairlee, VT.
View of Killington Ski Resort 50 miles away in Killington, VT.